Cozy, calm and comfortablethis is how youll feel the moment you visit Apartment 805 at 99 John Street. Upon entering, youll see how the space seems to flow and welcome you home. Once inside, you can hang your coat in the deep closet on the left, drop your keys in the foyer nook on the right and walk down the hallway, taking it all in. The next area youll see is the kitchen, with modern stainless appliances and ample storage. Continuing down the hallway, youll notice two more impressive closets before reaching the center of the home a large and generous living room thats perfect for entertaining. 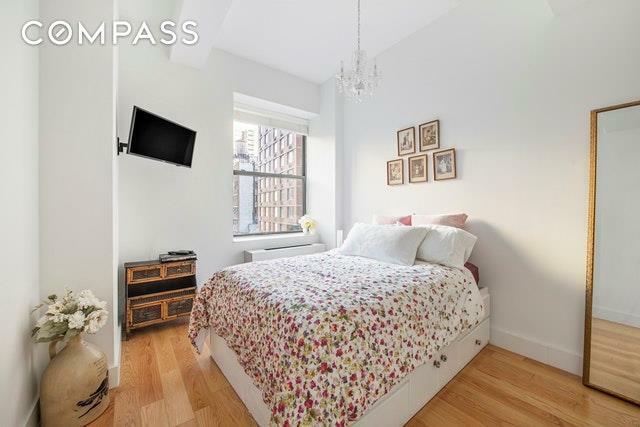 Finally, youll reach the bedroom, which with its oversized window, receives great natural light. You cant help but be uplifted in the space could it be thanks to the high ceilings and loft-like feel? Turn-key and ready to go, this home features upgrades including recessed lighting in the hallway and living area, as well as recently replaced HVAC units in both the living room and bedroom. 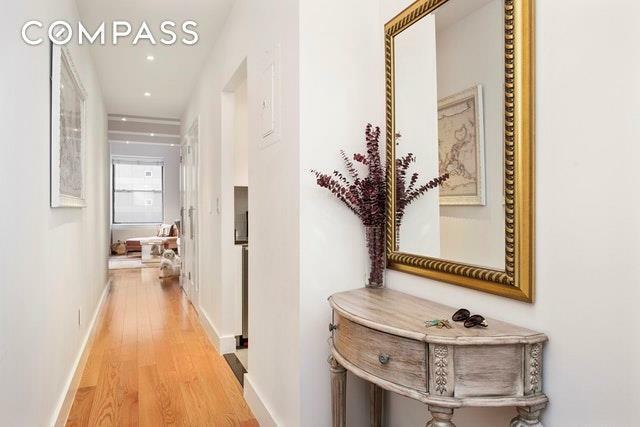 You wont have to lift a finger before moving in!99 John Street was designed by Shreve, Lamb & Harmon, the architectural firm that designed the Empire State Building. You'll immediately feel the building's Art Deco aesthetic from the moment you enter the lobby. 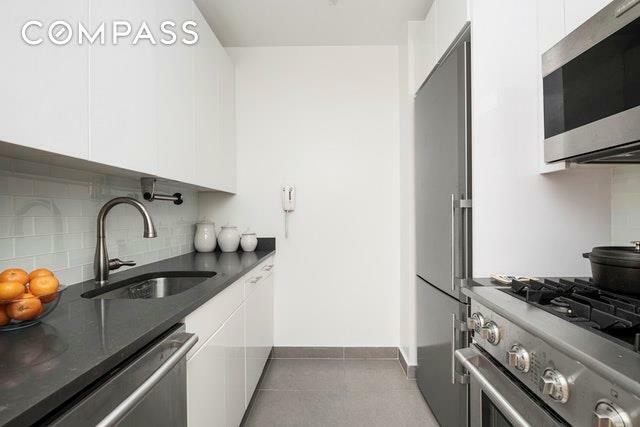 You'll love the convenience of the building's amenities a laundry room, gym, lounge, Zen garden, barbecue grills, and unbeatable rooftop offering sweeping views of NYC. And the neighborhood? FiDi is Manhattan's newest 24/7 community. 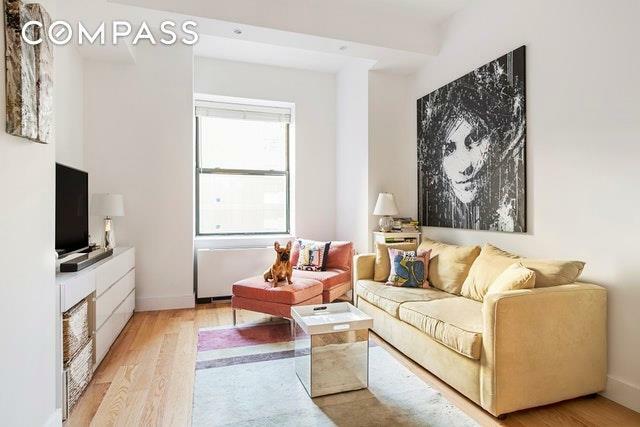 The location couldnt be more convenient, tucked in near the A/C/J/Z /2/3/4/5/R/W subway lines at Fulton Street, not to mention the World Trade Center PATH train and the Oculus. Nearby ferry service at Pier 11 provides easy access to multiple destinations. Three supermarkets are located within two blocks including Jubilee which is on site, and Whole Foods is coming to the neighborhood in 2020. Come visit #805 and considering joining the 99 John Street community we know youll feel right at home!